By plane, by car, train or bus … You can reach B&B El Pekinaire in Calella using any of these means of transport. 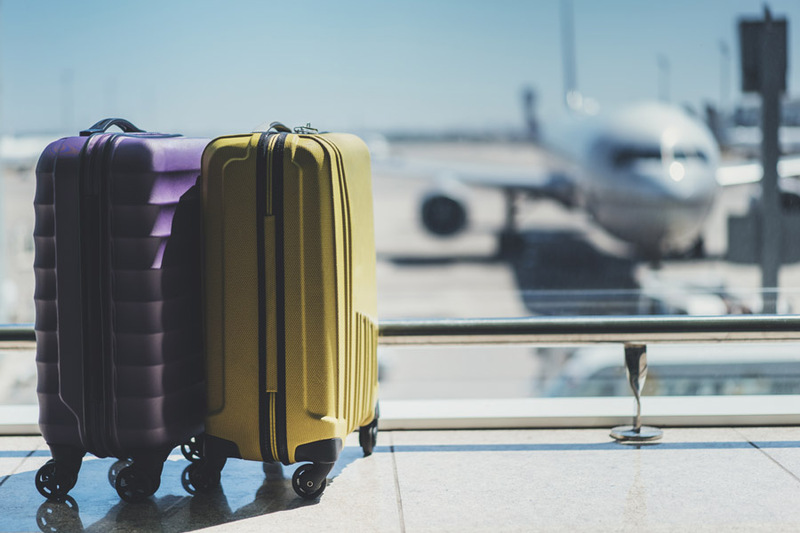 If you have questions or want to book the airport transfer service, contact us and we will inform you. AP-7 motorway (approximately 90 minutes from the French border). By Highway: C-32 (40 minutes). By National: N-II (1 hour). By National: N-II (50 minutes). You can travel to Calella by plane through the airports of Prat-Barcelona or Girona Airport. 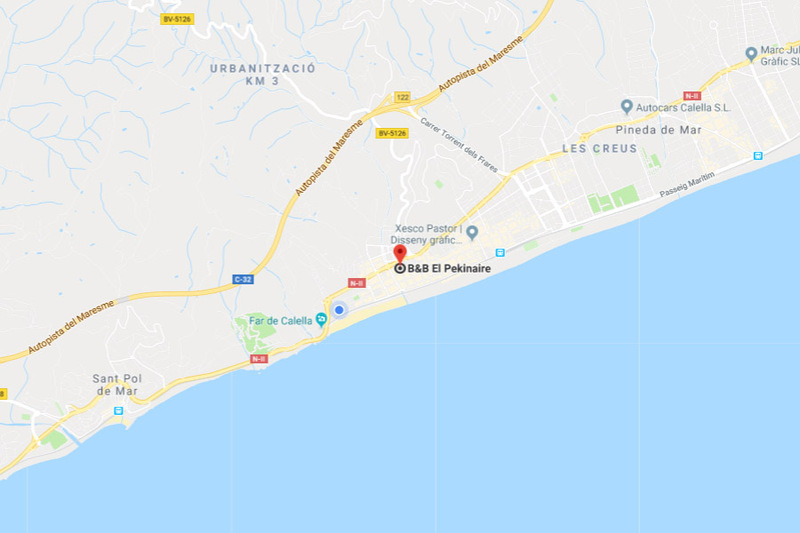 Both have good connections with Calella by train and highway. In addition, El Pekinaire has a “transfer” service with both airports. This airport has many LowCost flights, especially in summer. Account with connection by train with Calella (journey of 1 hour approx.). The train is an easy and convenient way to get to Calella. Our city is linked to Barcelona, Girona, Costa Brava and Barcelona airport and Girona airport through the railway lines. The train service is every half hour in each direction. 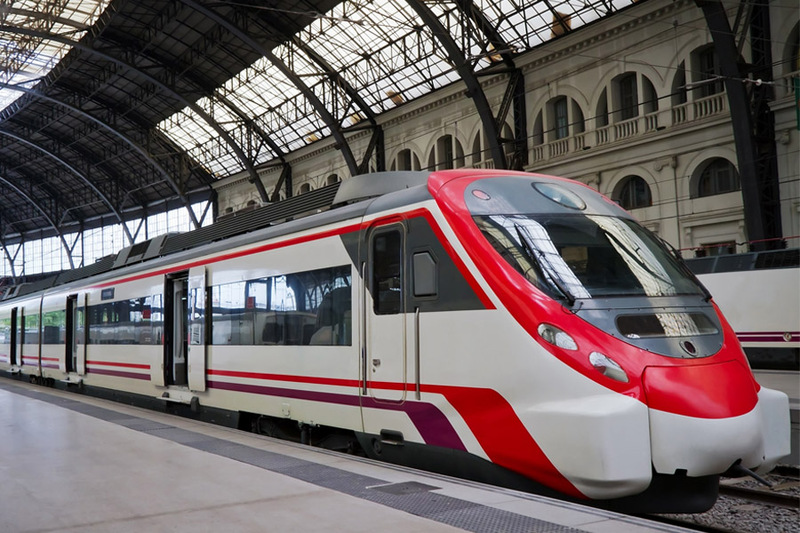 Find more information and schedules in www.renfe.com. There is a direct bus connection from Calella to the city of Barcelona, stopping at different central and touristic points of the city. There are also buses from Calella to terminals T1 and T2 of the El Prat-Barcelona Airport. The journey time is approximately 1 hour.